Printing can be done not only through a WiFi connection, but also through Bluetooth. Although the preparation for the connection is different, as the Bluetooth device must first be connected to the tablet's settings. 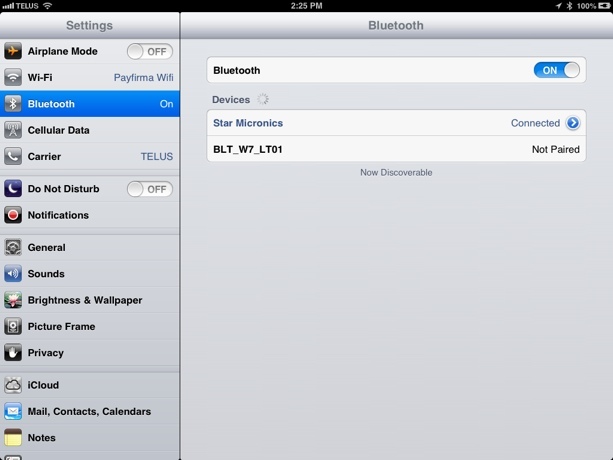 Toggle your Bluetooth to ON if it is currently set to OFF. Ensure that your printer is turned on and Discoverable. Your device will automatically pick it up, and you'll need only tap on the device to connect. 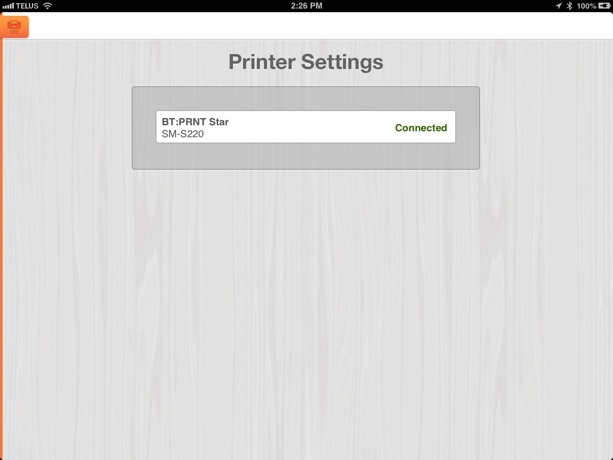 Once a connection has been established through Settings, the printer will automatically show up in Printer Settings, just like WiFi printers. After the connection has been confirmed, all receipts will be printed automatically during a sale or review of previous transactions once you select Print Receipt.